Today I thought I would introduce you to my lovely friend Mia .... yes it’s the Clarisonic Mia. 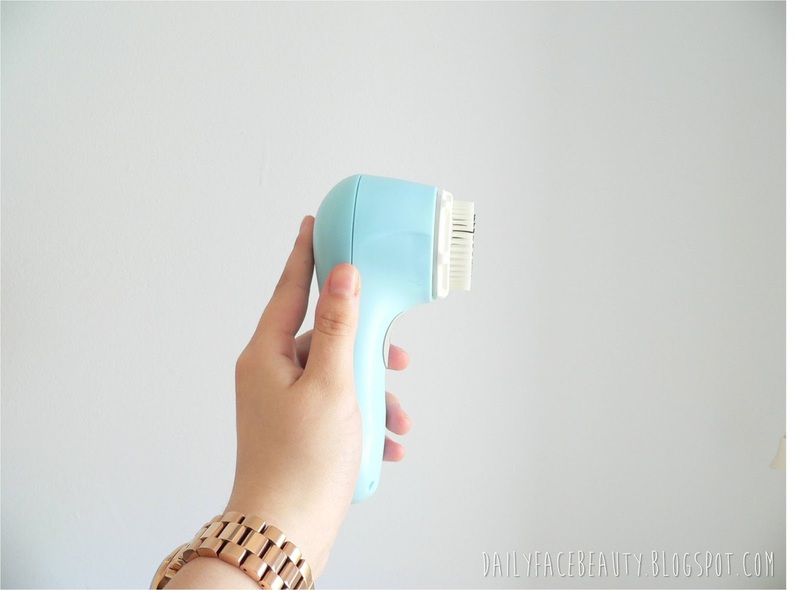 If you haven’t heard of the Clarisonic before it is essentially a toothbrush for your face- in fact it was even created by the people that invented the electric toothbrush! Now, as you may know the Clarisonic isn’t the cheapest of beauty gadgets with some models ranging in price up to an eye watering £179.In addition to this each replacement brush head costs £20.However, I must say I love my Clarisonic and would even go as far to say it was the best thing I have ever done for my skin. I think the biggest difference that I have noticed is that, since using the Clarisonic, my skin is far less oily than it was prior. I also feel that the Clarisonic really helps all my other skincare products sink in and work their magic. When reading reviews upon the Clarisonic you may be aware that some people experience a “purging phase” with their skin where they will experience breakouts for a while. However, oddly enough I didn’t experience a “purging phase” but pre Clarisonic I was experiencing my fair share of breakouts. 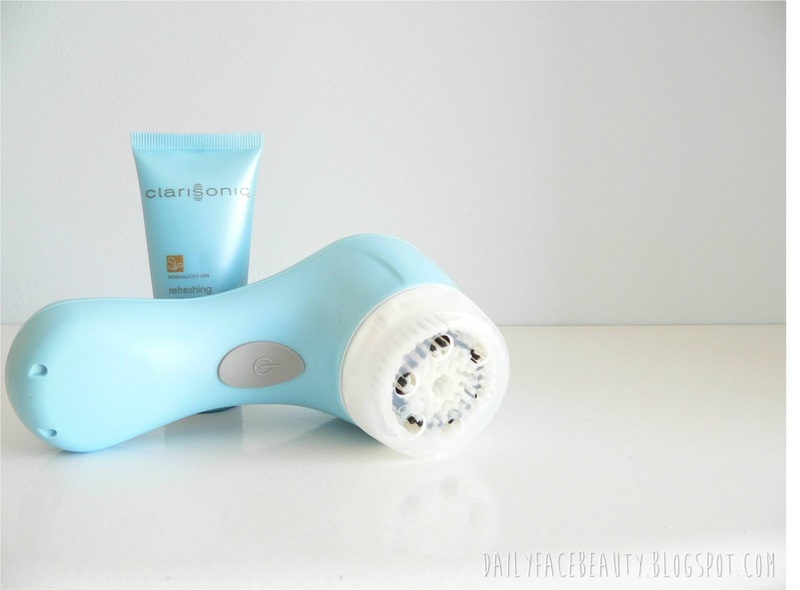 When it comes to spots the Clarisonic is amazing – I was pretty impressed! Now this isn’t an acne clearing product however I feel that the Clarisonic really helps spots heal and disappear a lot faster. The only sad note is that this can’t be said for blackheads, which was the main reason I initially brought the Clarisonic. L When I first got the Clarisonic I did a little experimenting with different cleansers and found that creamy cleansers work best. Along with the Clarisonic you also get a miniature of their cleanser, which I really enjoyed. I was rather surprised by the cleanser that came with the Clarisonic as it leaves your skin feeling lovely and refreshed and after having a little mooch online I found that you can buy full size replacements of this cleanser over on ASOS.I am very happy with my Clarisonic Mia and I now look forward to cleansing my face- which I previously found a bit of a chore. 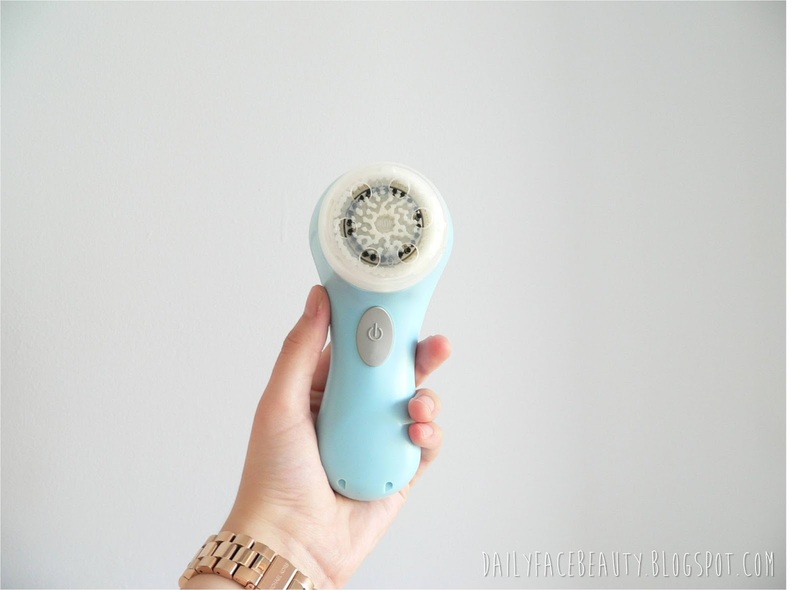 Have you tried the Clarisonic yet, and what are your skincare must haves? I love the clarasonic? How are you finding it now?? Your blog always has great high definition pictures! Thanks for this great post! I am eying up the clarisonic for ages and this post might haven given me the finally encouragement.